This banking resume template is easy-to-use for an individual applying for a job in the banking industry. Templates are the types of things you can use when you choose to create a resume that will stand out to employers or professionals in the banking industry. 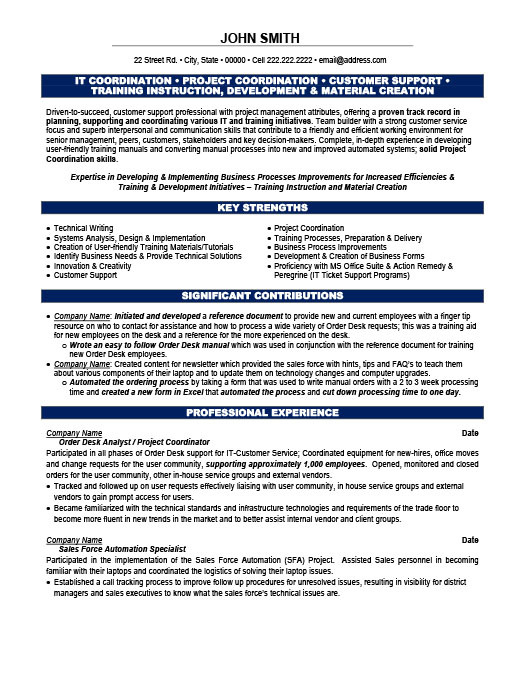 This template for a banking resume includes items that those in banking are looking for as a way to showcase their experience in the industry. It shows the examples of strengths in terms of service as well as some of the other options you may need in terms of looking for work in the industry. The resume consists of 4 sections. These would be the experience section, the strengths section, the professional contributions and the professional experiences that are highlighted on the resume. 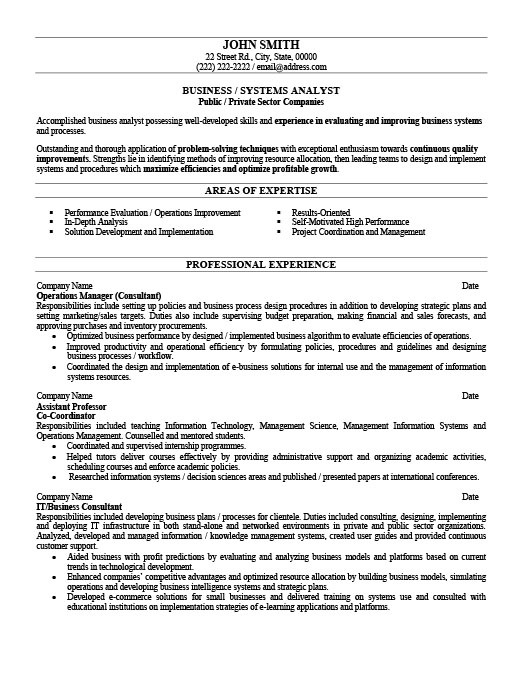 The resume template provides a section that highlights the individual’s experience.In this case it is information technology coordination. It highlights the individual’s experiences in the area. It shows experience in IT, customer support, training instruction etc. This resume also highlights the individual’s experiences in the key strengths portion of the resume.The strengths are highlighted with the contributions the individual has made in terms of their overall skillset that may benefit those in banking industry. These would include such items as technical writing, customer support and project coordination, their office skills including proficiency in MS Office Suite and Peregrine support systems. Showing these skillsets can be immeasurably helpful to someone in the banking industry. They can present quality standards to those who wish to show achievements in banking. The resume also contains significant contributions like initiating and developing a reference document. This can be an evaluation tool that is helpful for those who are in the banking industry to access and present to prospective employers. The final section of the resume is dedicated to professional experiences. It discusses the industry and what the individual did to to achieve success in the banking industry. This shows the individual’s contributions in the arena of their experience at the Order Desk as well as a Sales Force Automation specialist. It even showcases what the person did during their gap in employment. This can be a quality item that allows individuals to get and achieve success in the banking industry. There are a number of career experiences that are highlighted in the professional experience section which show how the individual in this case, John Smith has contributed their experience in their work environment. 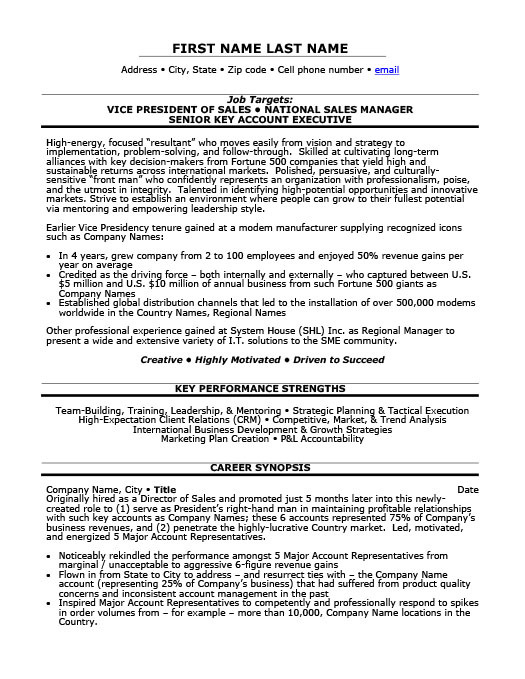 All in all, this is a viable resume that details the experiences of the individual. Finding this information and utilizing it it is one of the ways you can grow your career in the banking industry. Complete Template Preview available for you to decide. Download this Resume Template to gain instant access to all the pages of the resume and cover letter.